Great StarterEnjoy the lovely outlook from this very well presented, single level three bedroom brick veneer and tile roof home. With a welcoming light filled and sunny interior, this property features floating timber floors throughout living areas, a custom designed kitchen with adjacent defined dining, wall reverse cycle air conditioner in lounge room, mirrored built in wardrobe to the master bedroom and a spotless bathroom. Huge covered entertainer's deck, perfect for barbeques with friends and family. Great size backyard for the kids and the dog. Established lawns and gardens which back onto reserve. Tandem carport for the cars. 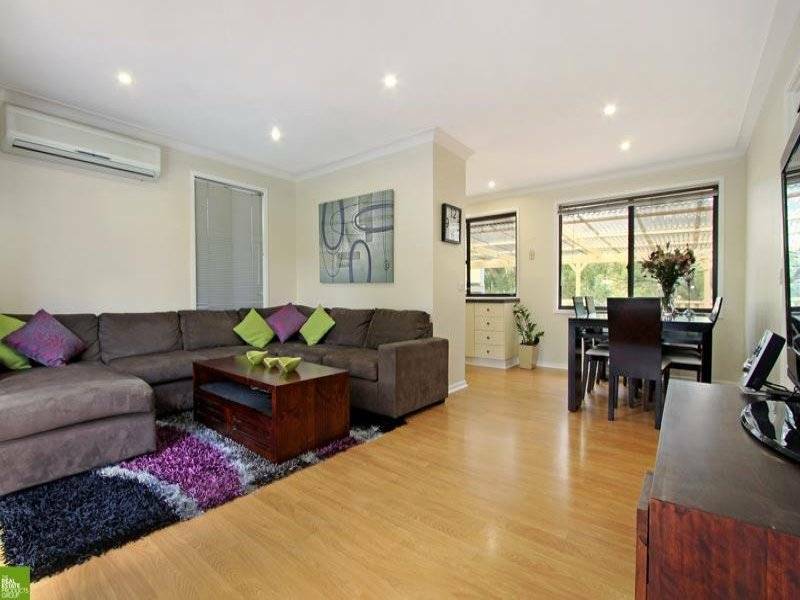 Conveniently located close to shops, transport and schools.